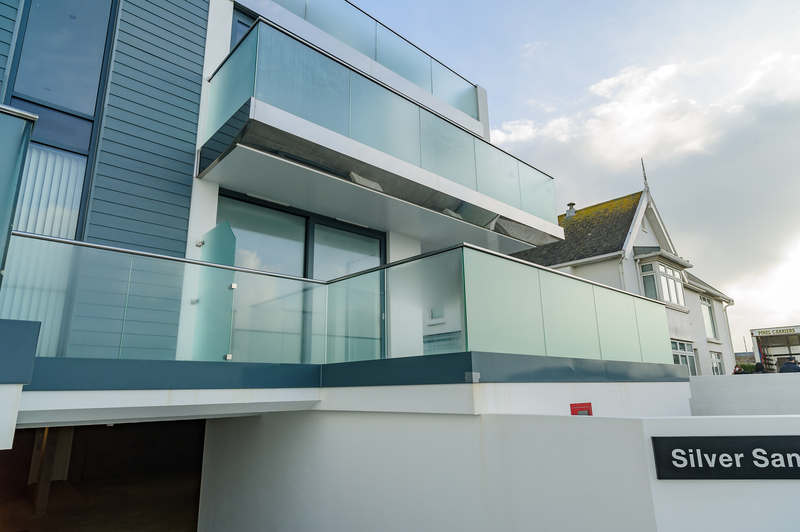 Another quality Project supplied by Precision Plastics Jsy Ltd. 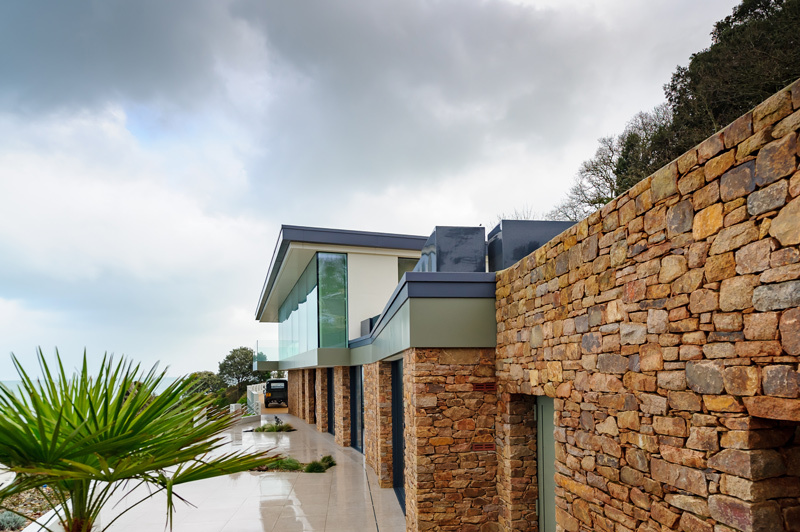 This stunning new development has been beautifully and tastefully designed, positioned at Anne Port the property commands magnificent views over the east coast towards France. 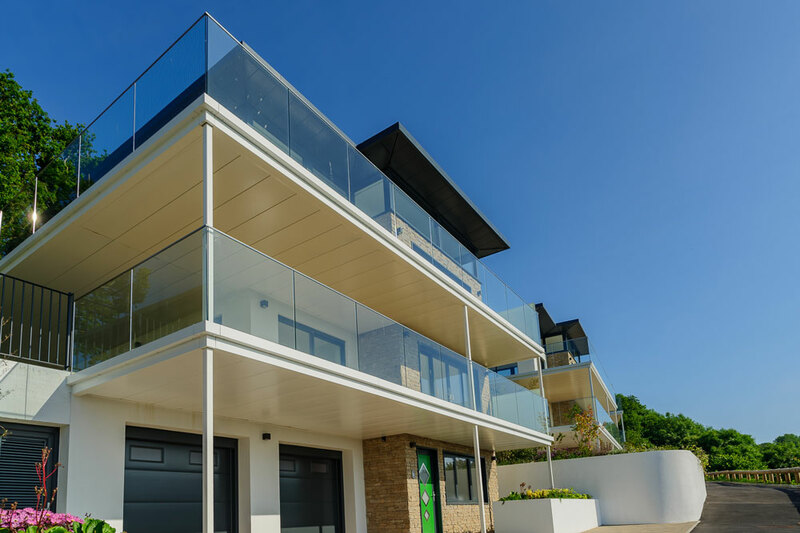 Precision Plastics Jsy Ltd worked closely with the client throughout, to supply all the Aluminium Fascia’s and Soffits which were largely bespoke for this development. 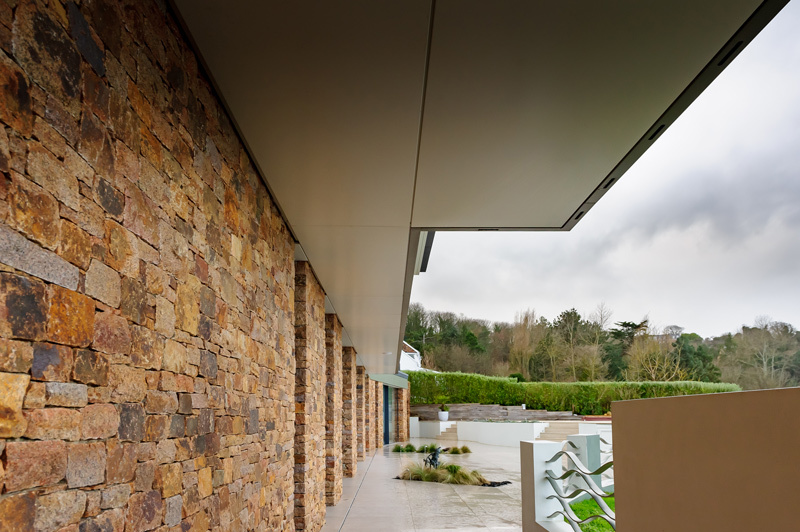 The client project managed the development himself, making excellent use of the extensive Alumasc colour range. 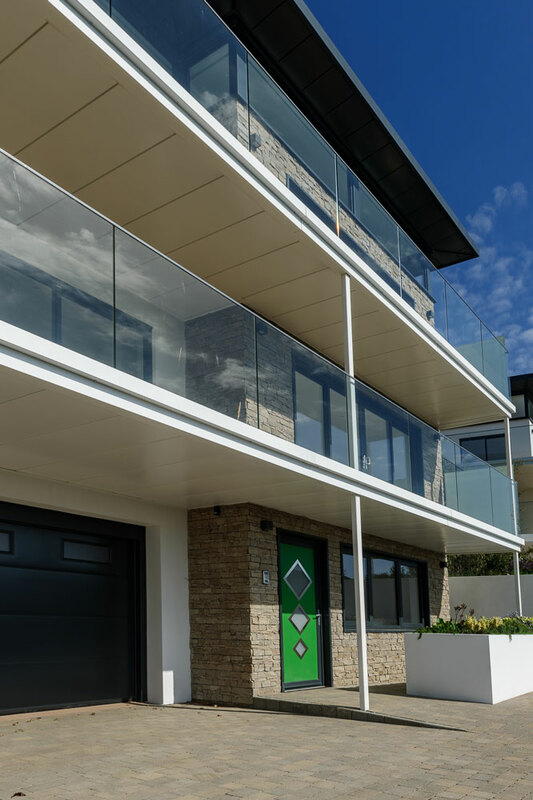 Using a mix of three colours on the different Fascia and Soffit levels has worked brilliantly, the finished appearance has been further enhanced by the rich colour of the stone work, giving a very fresh and vibrant feel to the whole project. 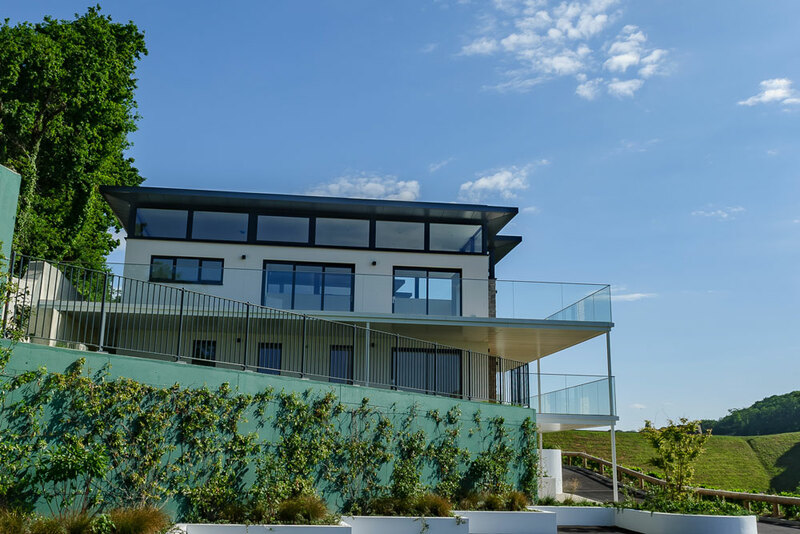 We were delighted to be involved in supplying this outstanding project, and offer our congratulations to our clients on the completion of their beautiful new home. 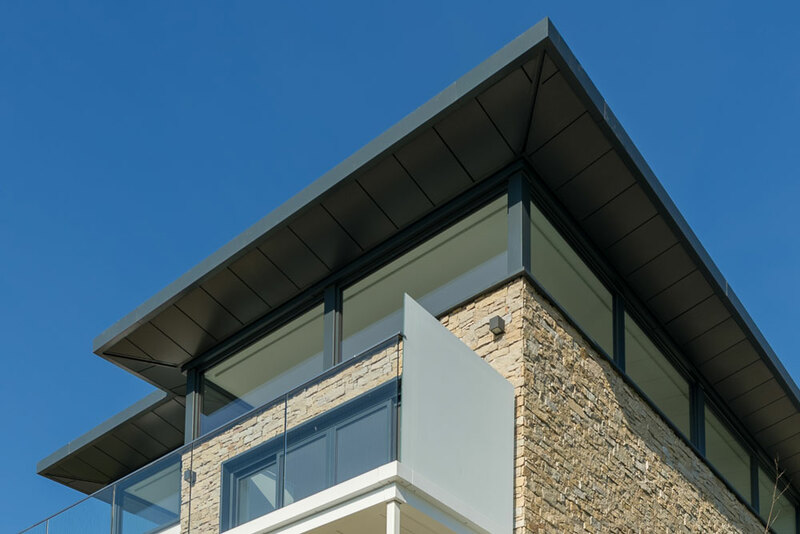 The Skyline product range used here includes high performance fascia, soffits, copings and cills for industry leading rainwater protection in both contemporary and traditional architecture. 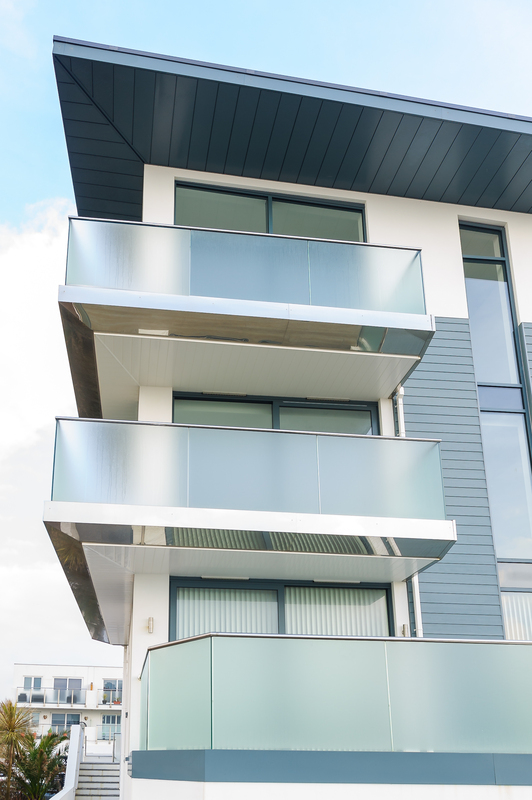 The range is manufactured from high quality in-house BBA certified powder-coated aluminium, to any RAL or BSS colour to suit any project. 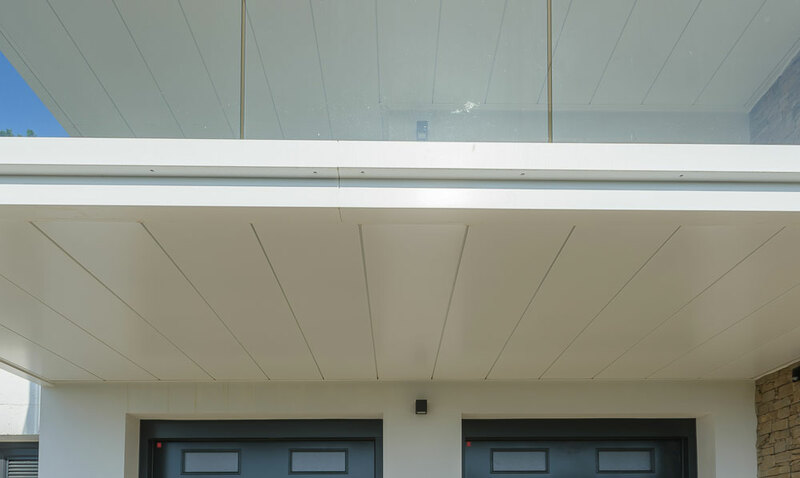 It’s 100% recyclable, easy to install and comes with 25 years life expectancy. 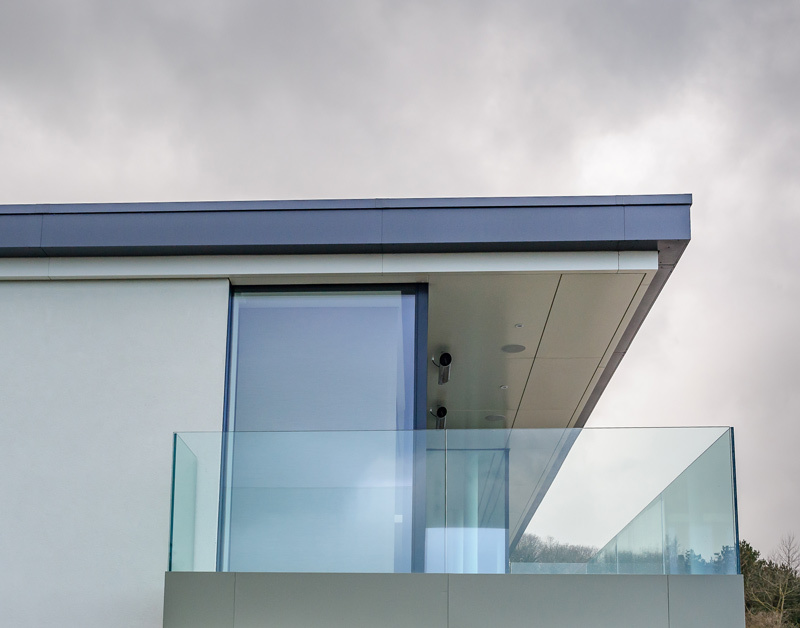 Standard and fully bespoke designs are available. 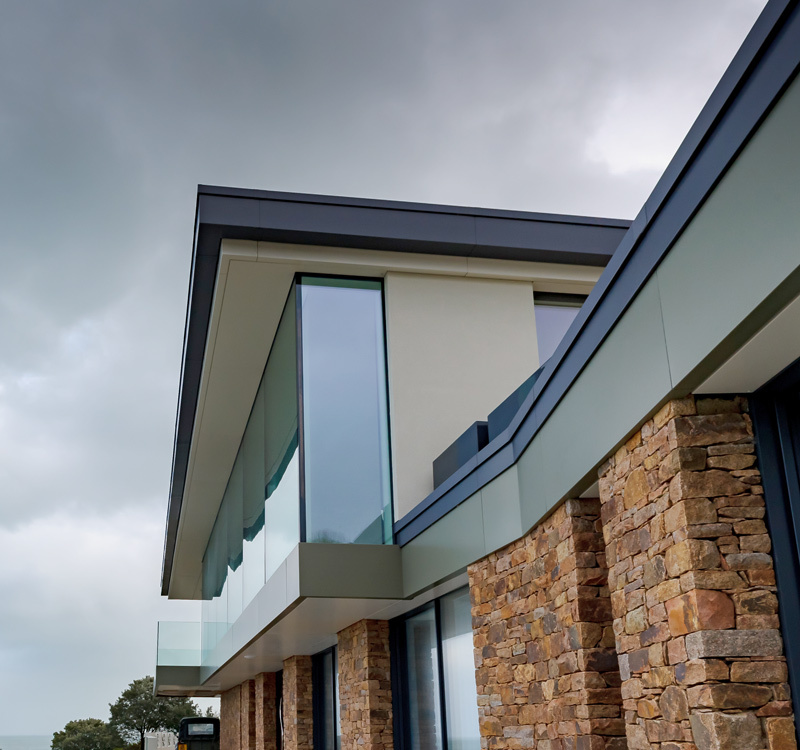 If you have a project Involving, Aluminium Fascia’s, Soffits, Cills, Copings, Balcony Soffits, Roof Drainage, Heritage Rainwater products, Cast or Contemporary please get in touch with the team here at Precision Plastics (Jersey) Limited. 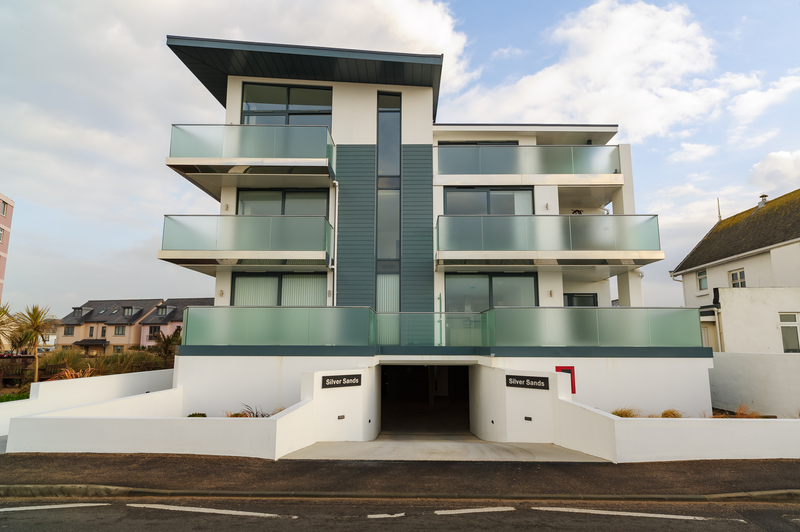 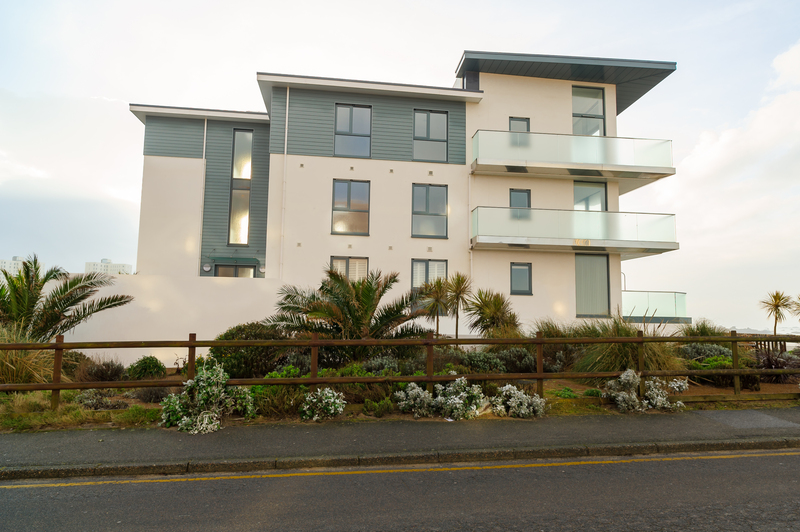 Precision Plastics Jsy Ltd, were delighted to have supplied all the Bespoke Alumasc Aluminium Fascia and Soffit Product to the specific design and ral finish required, along with the white uPVC Fascia’s and Soffit system from FloPlast for the new Silver Sands development on St Clements coast road. 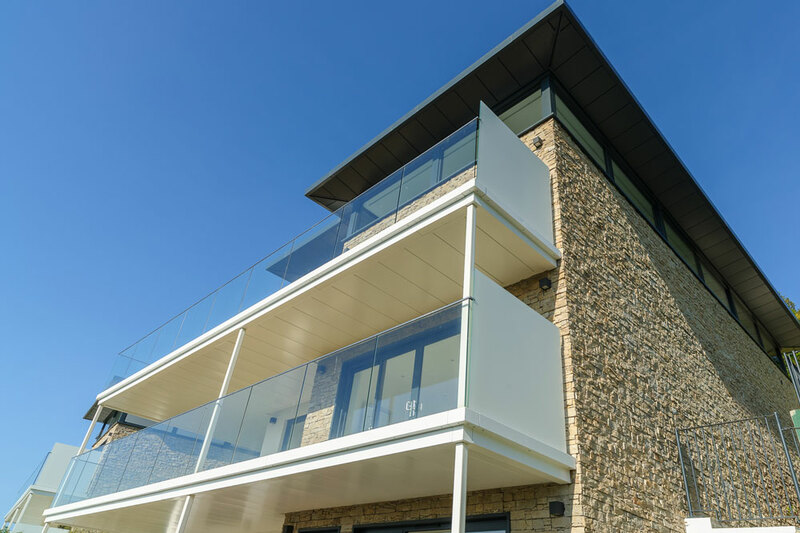 This unique mix of products offered a beautiful finish to this stunning new development from the Bridgewater Property Group. 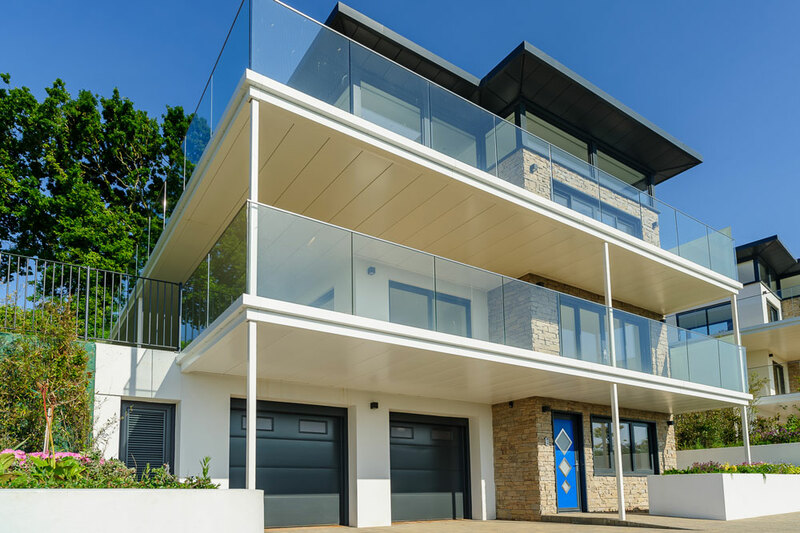 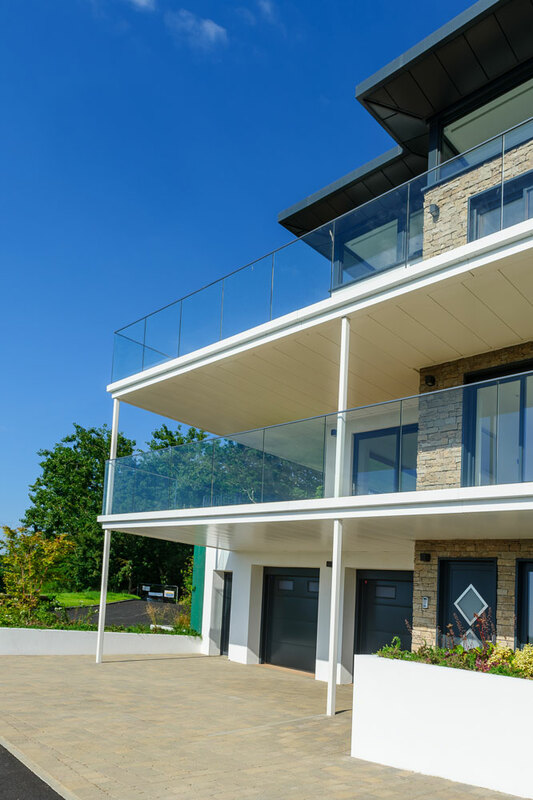 We worked closely with the developers to deliver the bespoke design requirements on the Aluminium Fascia’s and Soffits, and also supplied the white underside cladding system to the Balconies reflecting light downwards to the next floor. 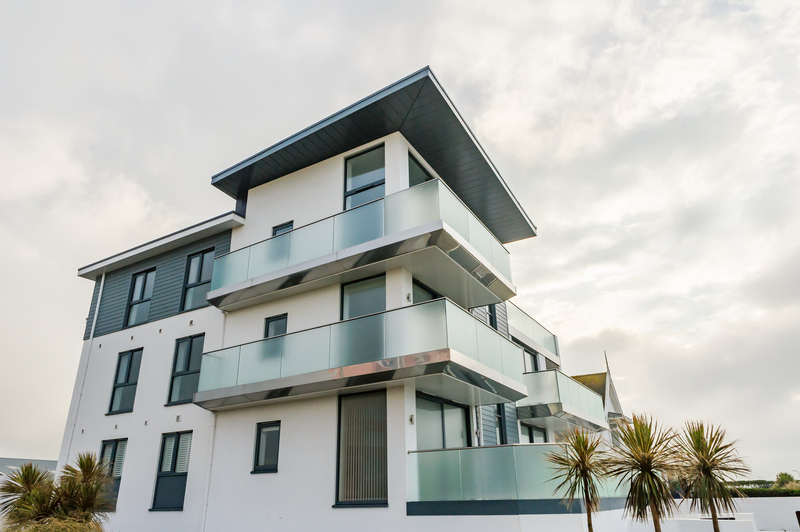 Precision Plastics Jsy Ltd; are the first point of contact in the Islands for any project requiring that bespoke finish to a specific Ral and design, we offer a huge range products and can work closely with Contractors and Architects to achieve the desired finish on any project large or small. 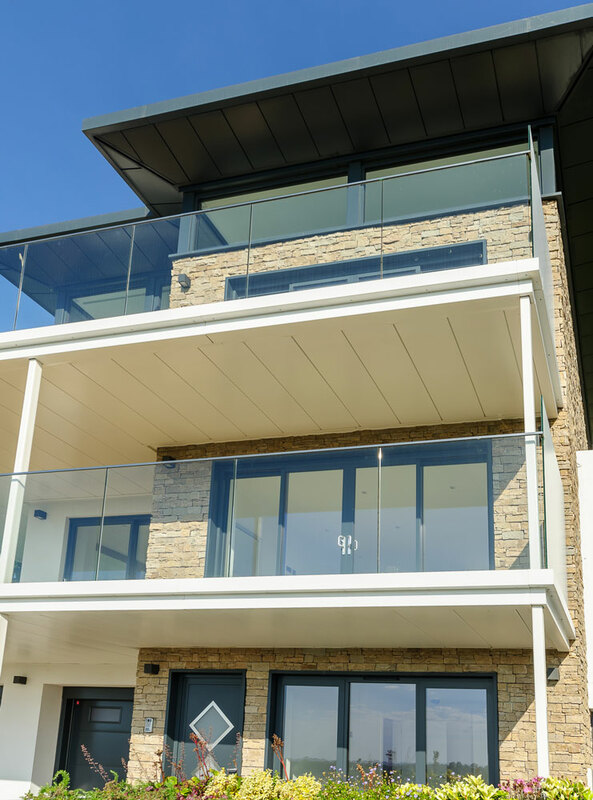 Precision Plastics Jsy Ltd, are the Jersey stockist for Alumasc products, we supplied to site the complete Aluminium bespoke finished product to the roofline and balcony areas of this stunning development, bringing an outstanding finish to these beautifully designed new homes on former Guardian Nursing Home site Grouville. 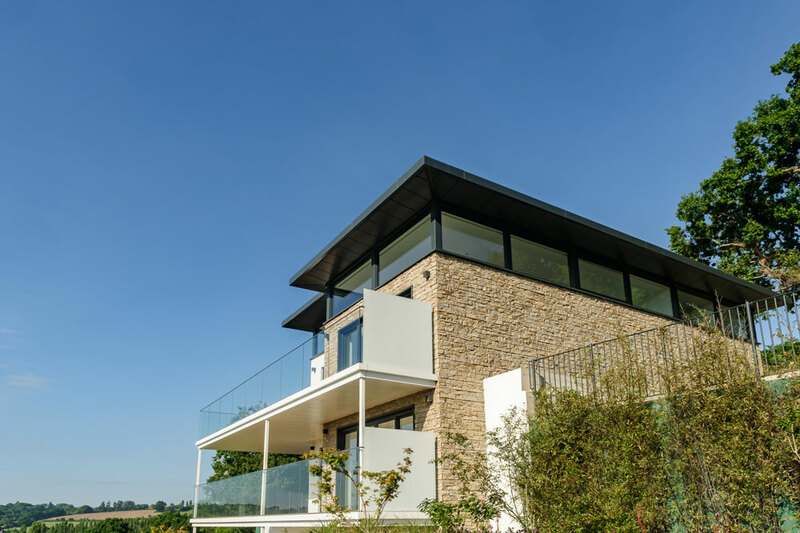 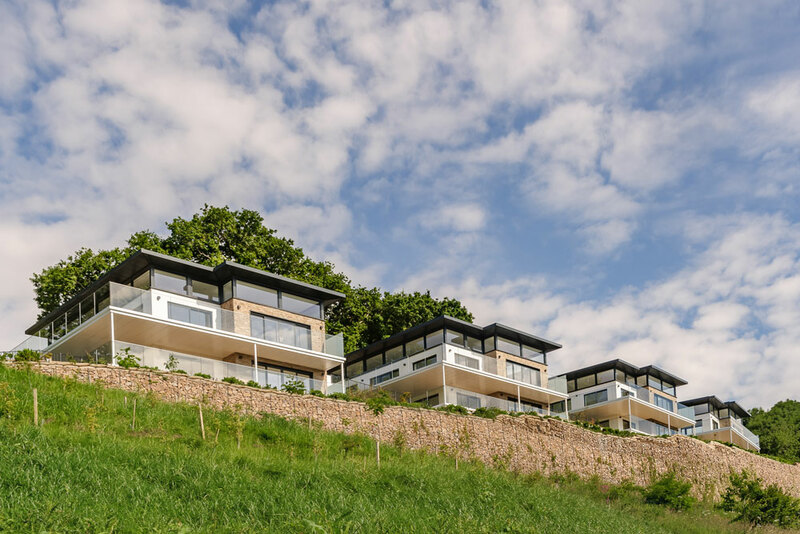 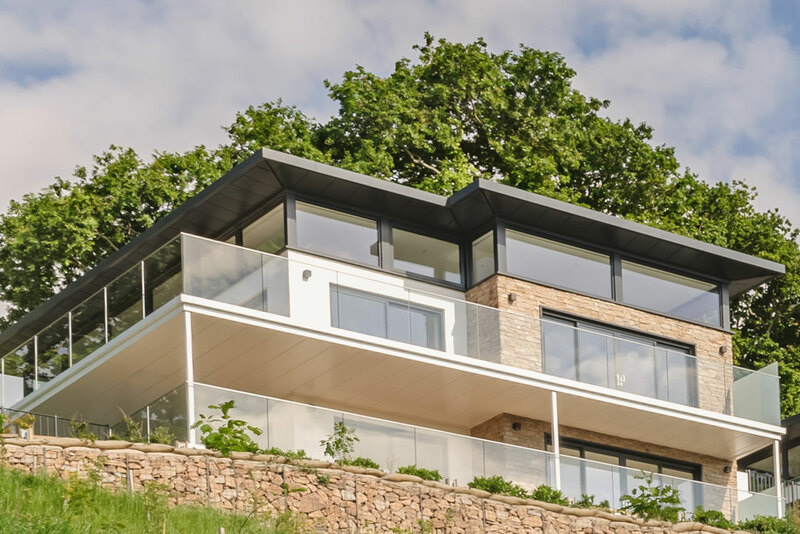 Working closely with the Contractors Alpine Construction Ltd and Godel Architects, we provided the required Alumasc Skyline Fascia, Soffit & Copings to a bespoke design on these stunning new homes. 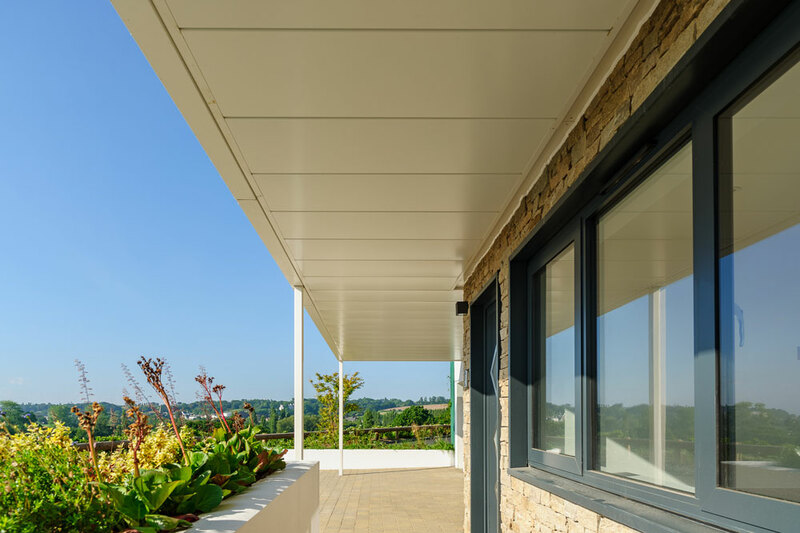 The design of the new homes called for a practical Fascia and Soffit and Coping system which would be aesthetically pleasing and competitively priced. 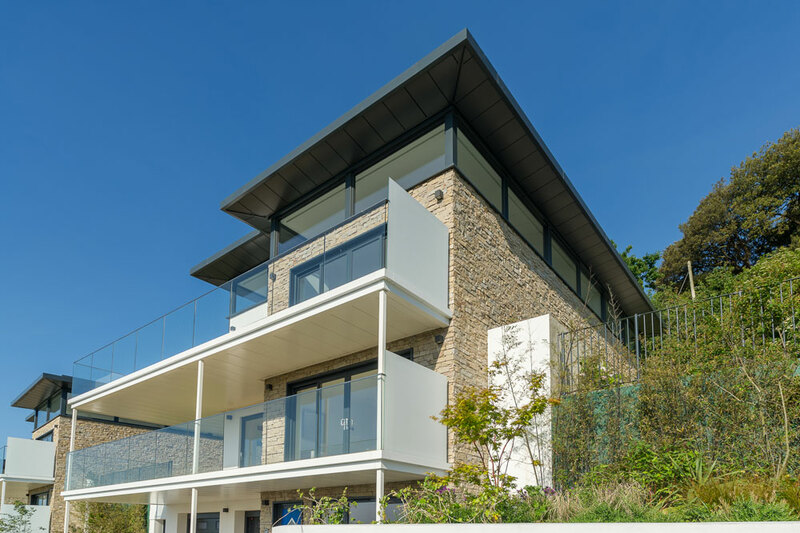 The first part of the project involved roof clad overhangs and producing a complex Fascia/Coping System. 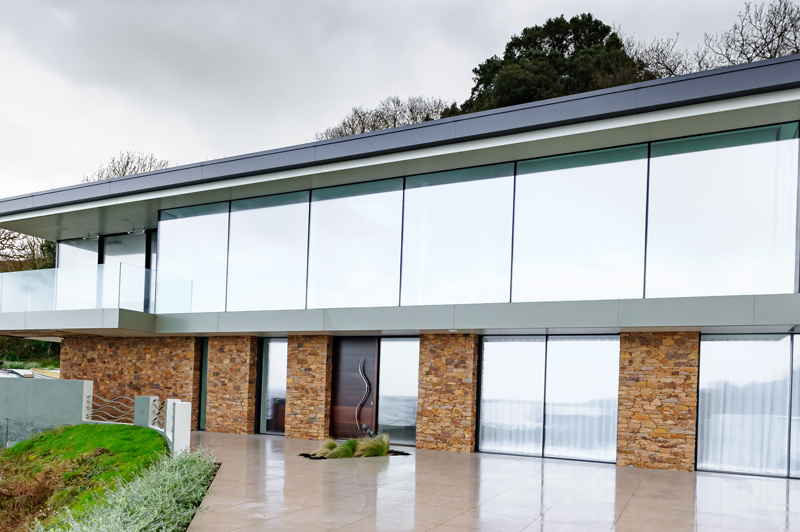 Alumas’s extensive range and bespoke options means they can be flexible to the specific design requirements of any project, Alumasc add having Precision Plastics (Jsy) Ltd as a dedicated and longstanding distributor in Jersey is ideal too. 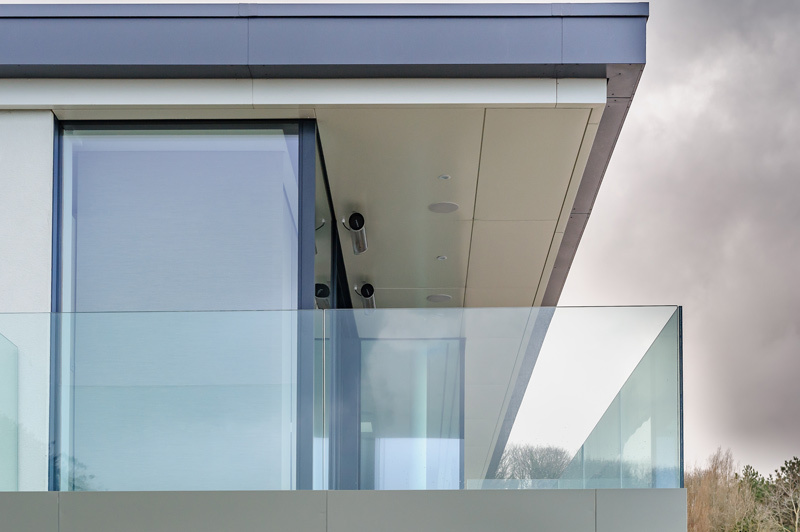 They are a central point of contact for the supply of our products, liaising directly with specifiers and contractors to help deliver the best possible service. 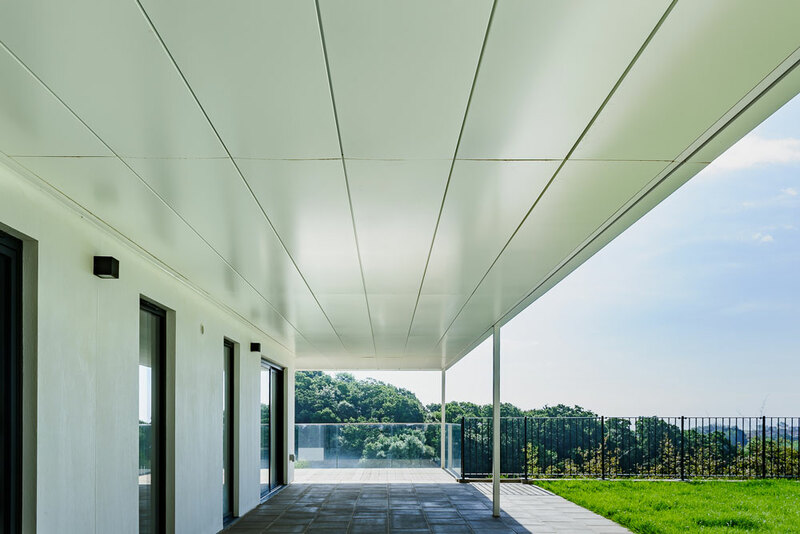 Skyline, Alumasc Rainwater, Harmer and Gatic are all big names in their own right, renowned for innovation, quality and outstanding support. 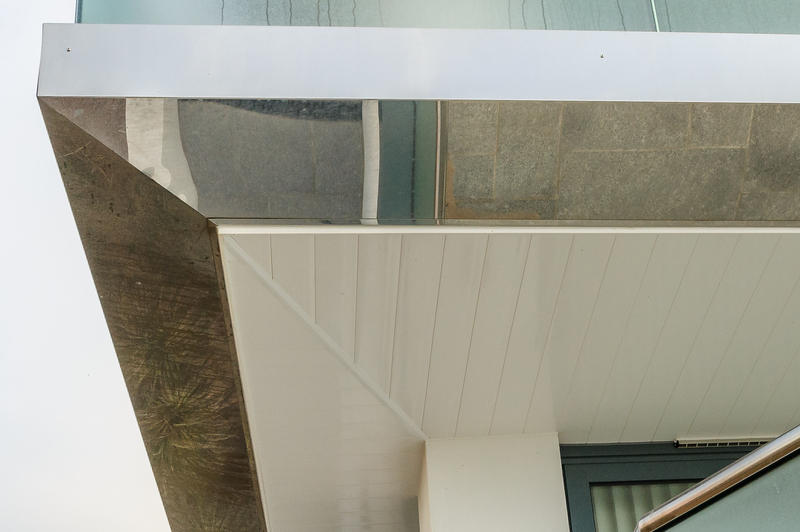 Under the AWMS banner, customers benefit from an unrivalled depth and breadth of expertise from brands they know and trust. 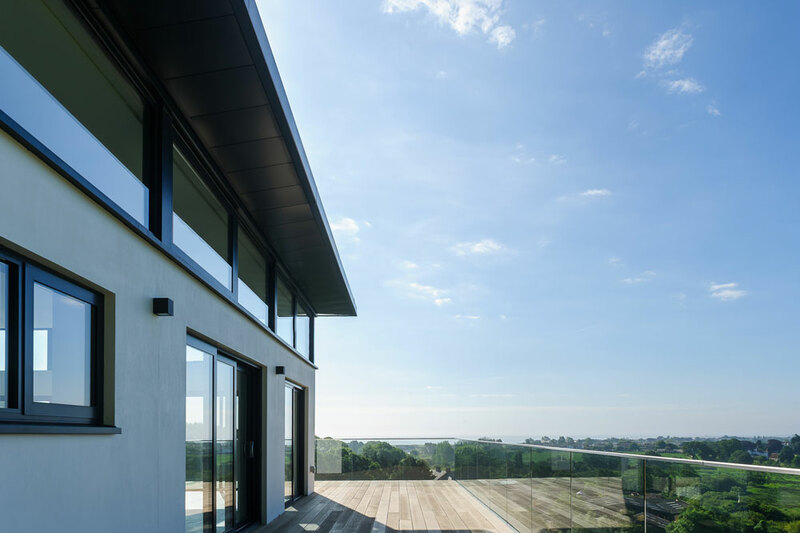 Skyline includes high performance fascia, soffits, copings and cills for industry leading rainwater protection in both contemporary and traditional architecture. 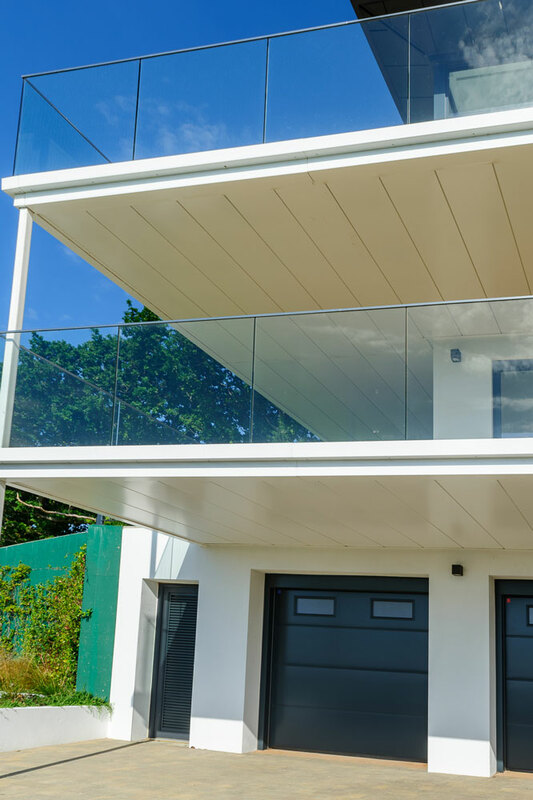 The range is manufactured from high quality, in-house BBA certified powder-coated aluminium to any RAL or BSS colour to suit any project. 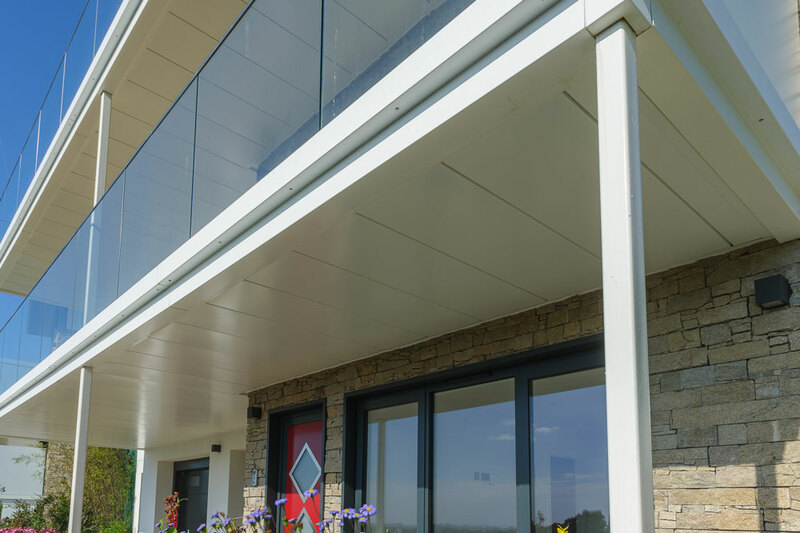 It’s 100% recyclable, easy to install and comes with 25 years life expectancy. 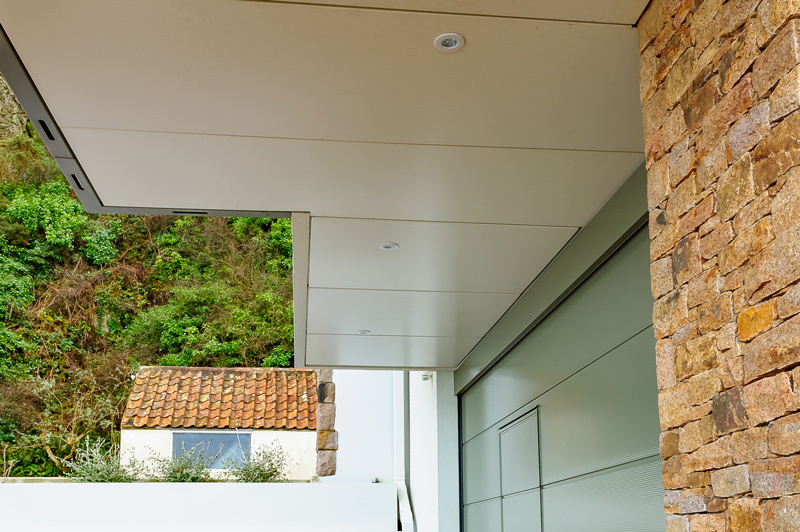 Standard and fully bespoke designs are available. 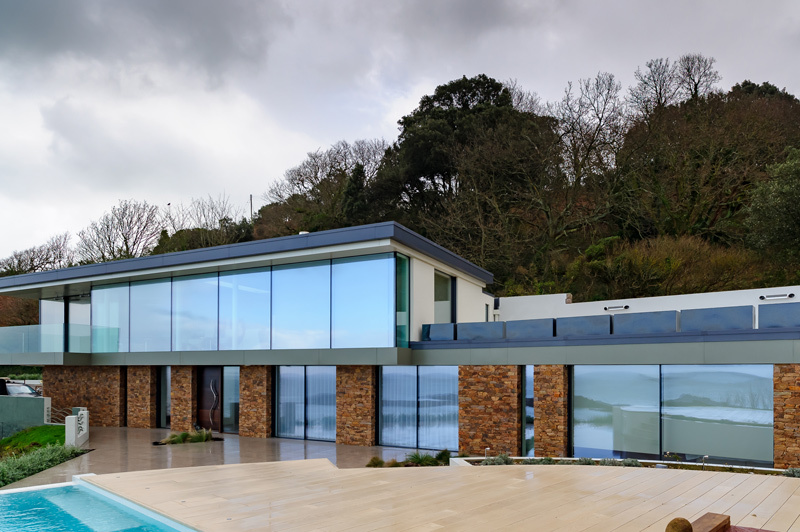 Precision Plastics Jsy Ltd; are the first point of contact in the Islands for any Alumasc project. 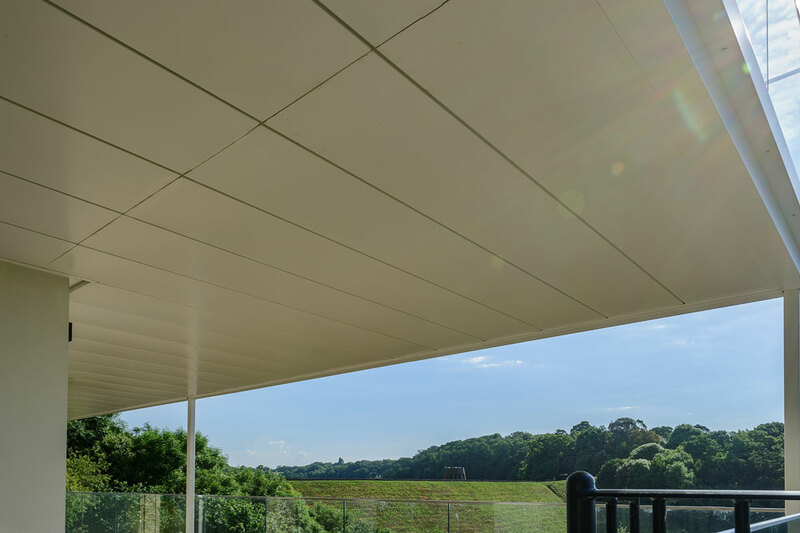 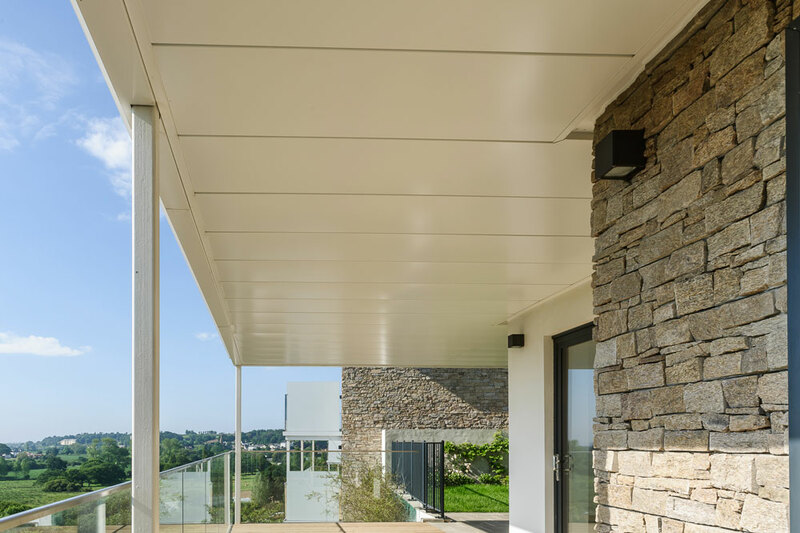 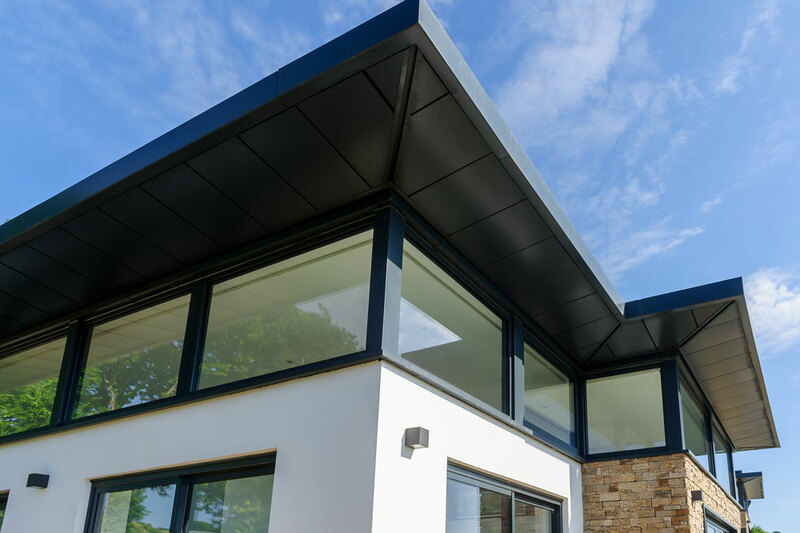 If you have a project Involving, Aluminium Fascia’s, Soffits, Cills, Copings, Balcony Soffits, Roof Drainage, Heritage Rainwater products and Cast or Contemporary Rain water products. 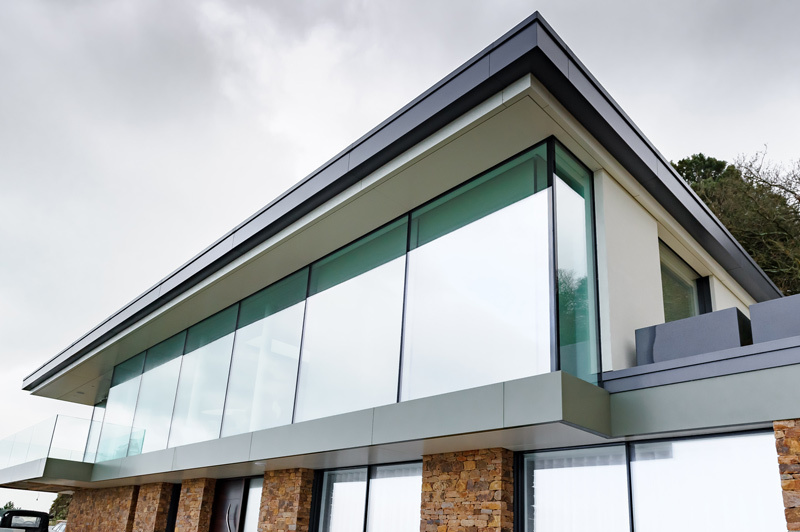 Precision Plastics Jsy Ltd today, we will be happy to discuss your requirement’s and provide the best available solution’s.